If you seek out your challenges on steep mountain slopes and uneven terrain, reliable equipment is a must. With the Rainspeed Advanced HS Hooded Jacket Men, nothing and no-one can stop you. 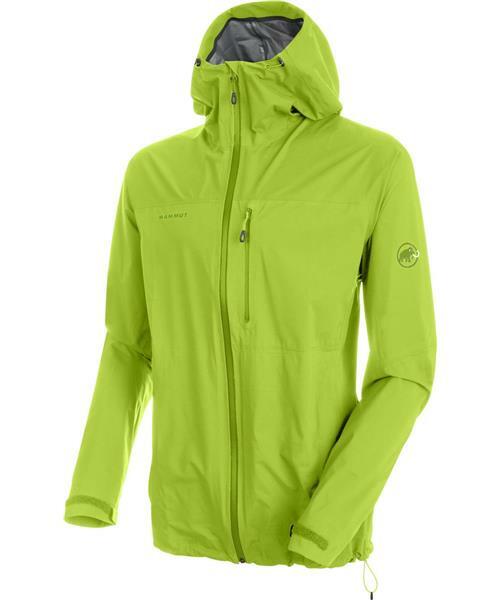 The jacket impresses with its design and functionality ideally tailored to mountain training. The 2.5-layer DRYtechnology Performance material is windproof and waterproof, ideally complemented by a hood that fends off both wind and rain. Various adjustment systems allow you to adapt the jacket to your individual needs, including a drawstring on the hem and hook and loop fasteners on the cuffs. The Rainspeed Advanced HS Hooded Jacket Men lives up to its name and will help you outrun the rain.